After yesterday's colourful home I felt inspired to find other seaside homes that broke the trend for whitewashed, nautical-inspired schemes. 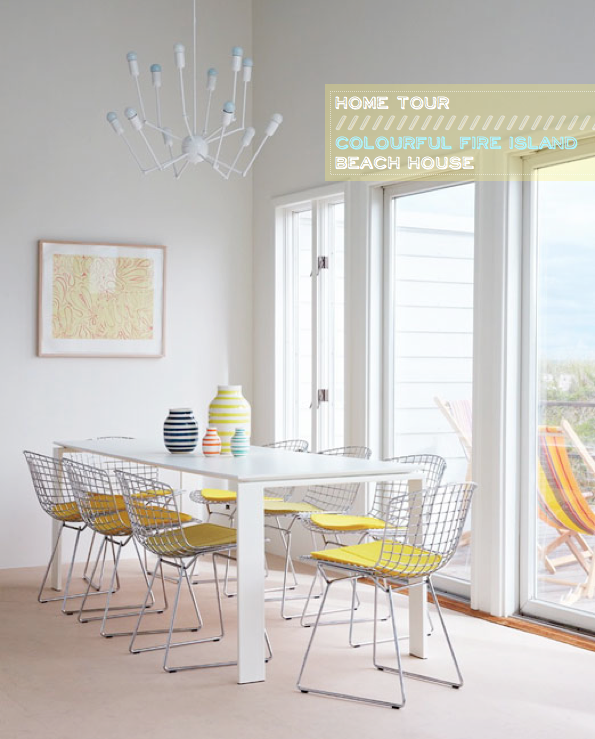 With a colour block approach to decorating, this Fire Island beach house certainly fitted the bill. I love how simple shelving and bookcases have been made into interesting features with a quick coat of paint. 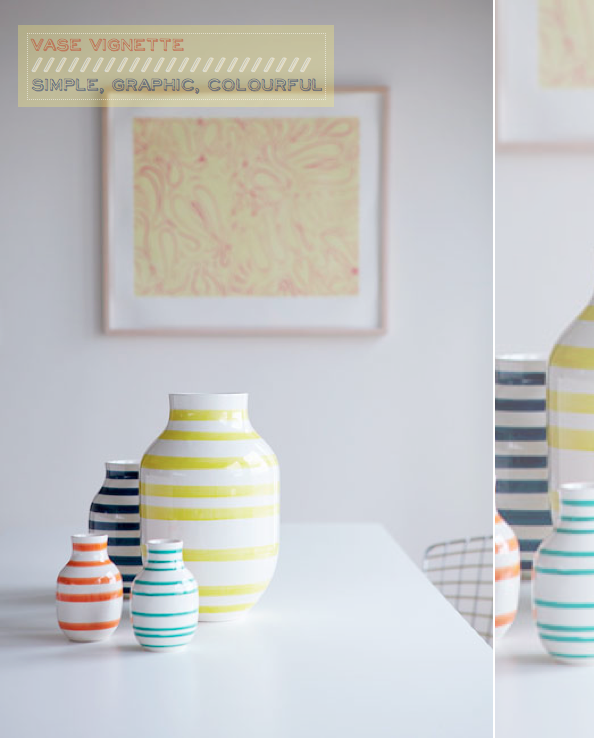 The vase vignette is manages to be a striking piece despite its simple stripe nature. This is telling of much of the house: although bright hues are used, they are used in an understated, gently playful manner. 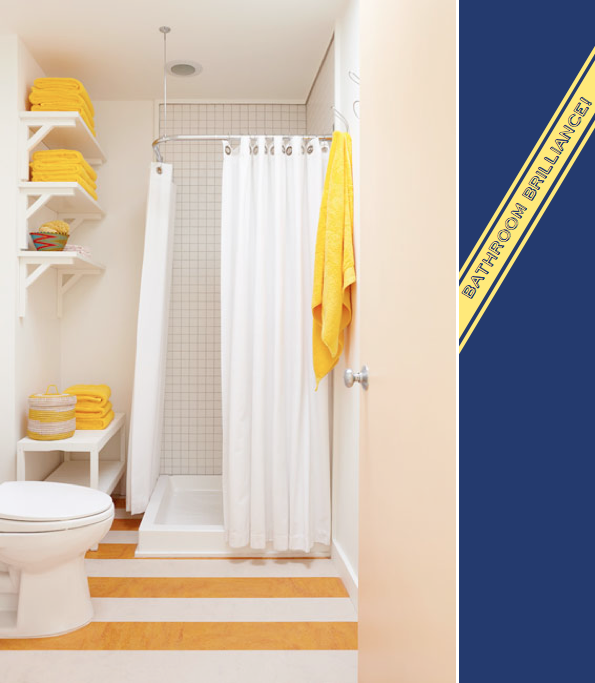 And don't get me started on that adorable mini surf shack area, complete with an outdoor shower and a summary yellow hue means I can't get enough of it! This seaside home is so calming! Even with all the color, I still feel at peace! Gorgeous for summer! 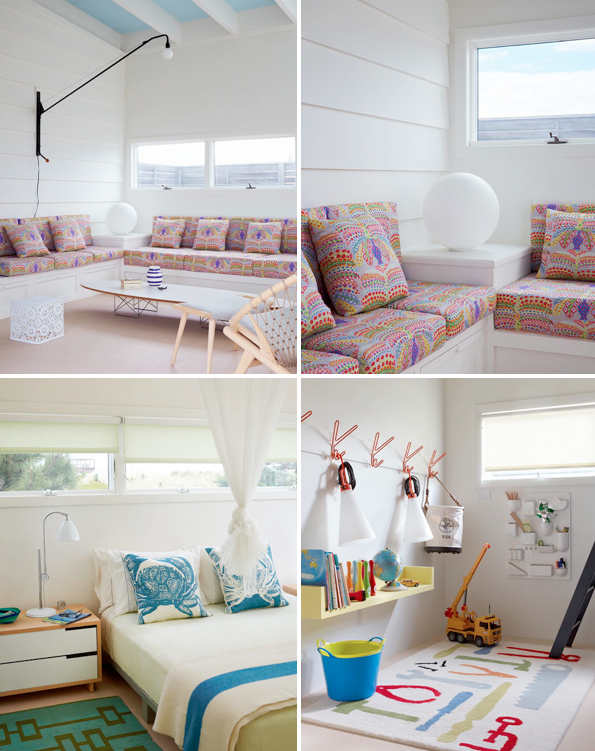 I love the burst of colour in every room - perfect style of a beach house! lovely! What a gorgeous house! & fantastic blog! Definitely need the dose of color. Your posts make me want to redo my entire apartment!Love these! PS - Just added you to my blog roll, would love for you to stop by! I love all the colors and the details in this house! The striped vases and coat racks are my faves! great idea with the lightblue bulbs! and I do love the fabric on the sofa!!! Love it! A great example of punchy colour done well. Just georgous!!! how airy and casual but so chic! LOVE! Wow - everything about this makes me smile - even the bike outside. The lamp in the first image is lovely and so is the fabric on the couches in the lounge. Fantastic find. yellow and white striped floor - genius. Love the dining room, the kitchen and the bathroom! 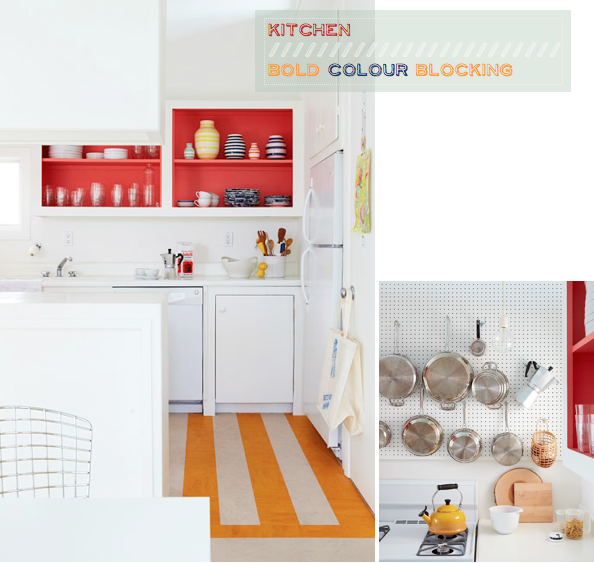 Love the colourful and casual feel to the whole house!! Playful, indeed. I especially adore the outdoor shower--much as I love them, most are a bit dismal and in desperate need of a sunny coat of paint. oh how i wish i could own a beach house that looked like this!! Could I just rent this place for a vacation?! What a great space! SMILE. This place just makes me happy! Thanks for sharing this, I am in love with this house! 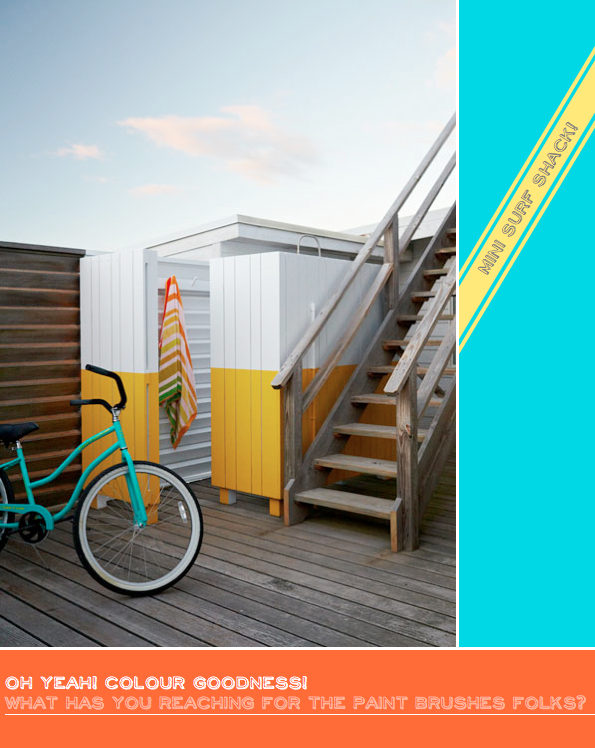 It screams happiness and sunshine! Love your blog, I am at http://seasidestyle.blogspot.com. I love the pillows and the blanket on the bed.